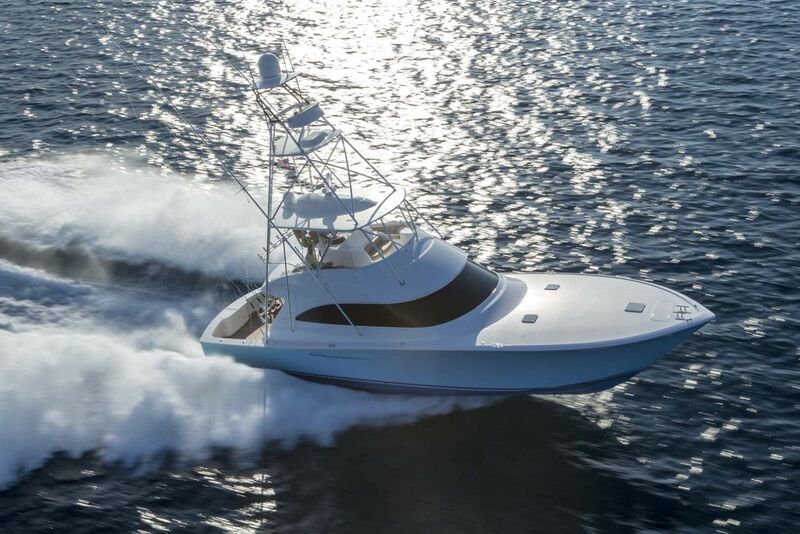 The one thing you can definitively say about the Viking Yachts 55 Convertible is that it’s an overachiever when it comes to performing under the pressures of a high-stakes billfishing tournament. 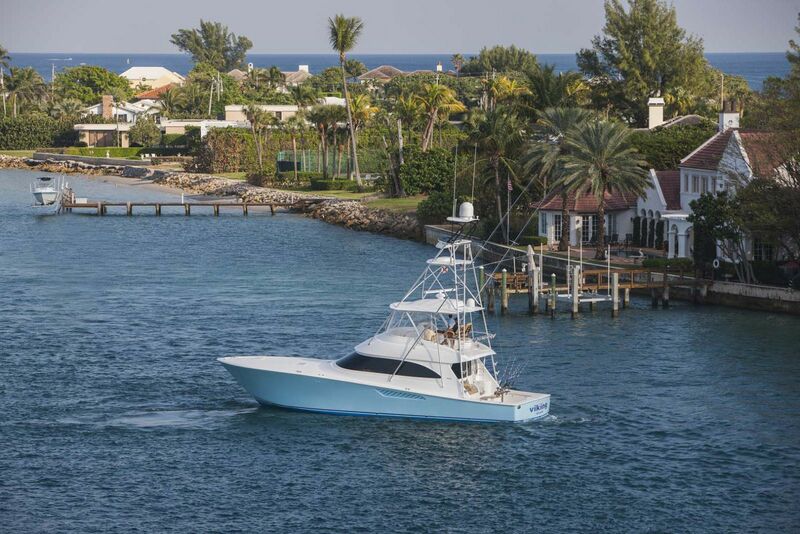 Like all of its siblings in the Viking fleet, the 55C meets all of the requirements by serious anglers looking for that bluewater pedigree that they have come to expect in a Viking sportfish. 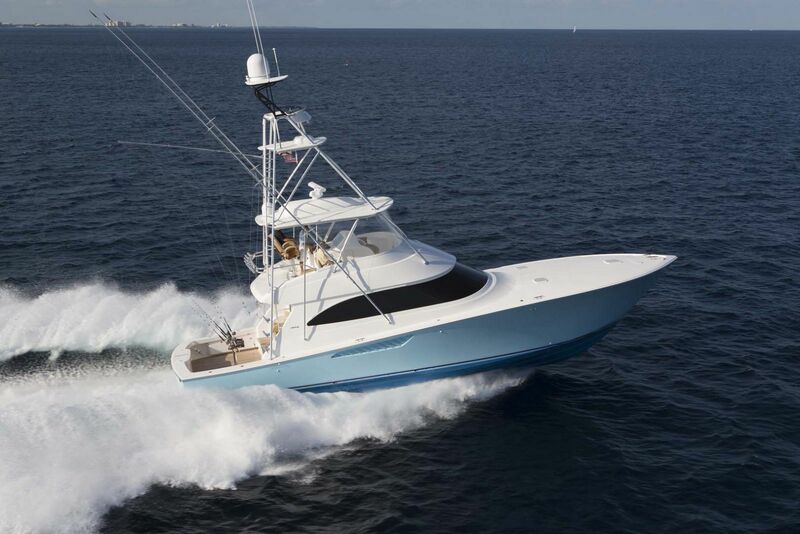 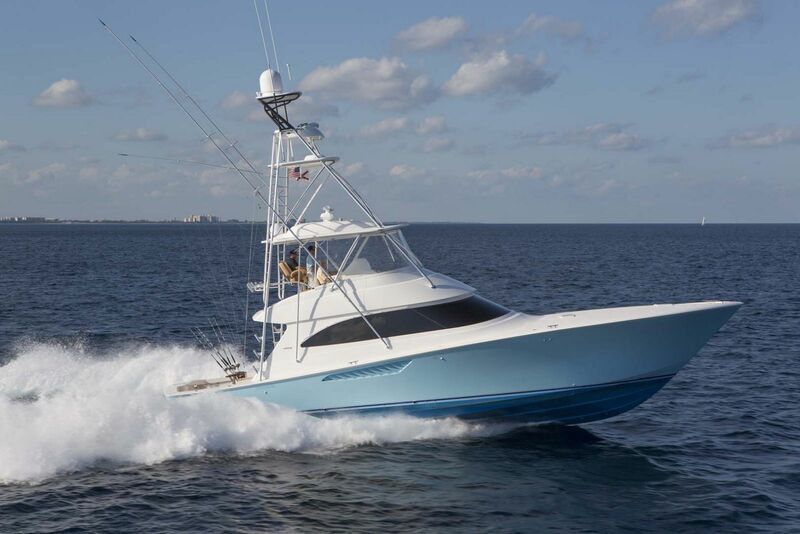 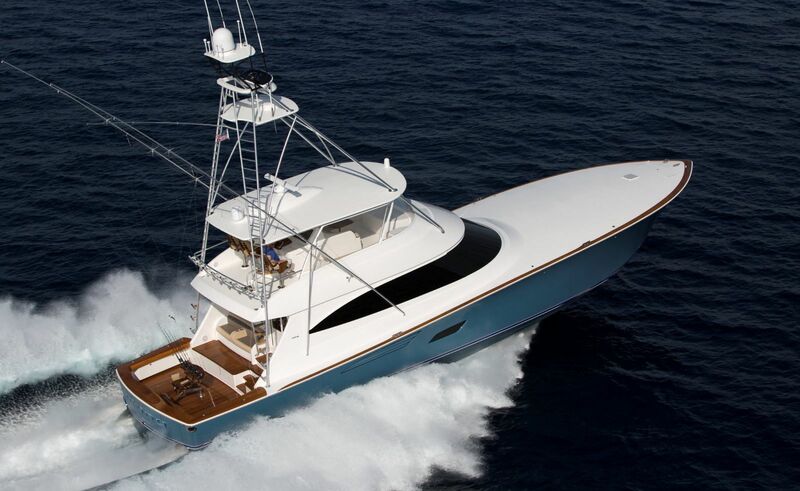 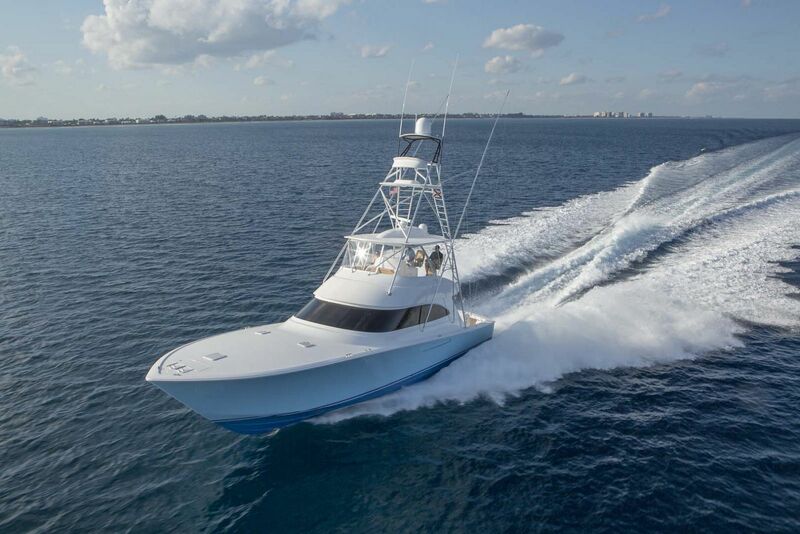 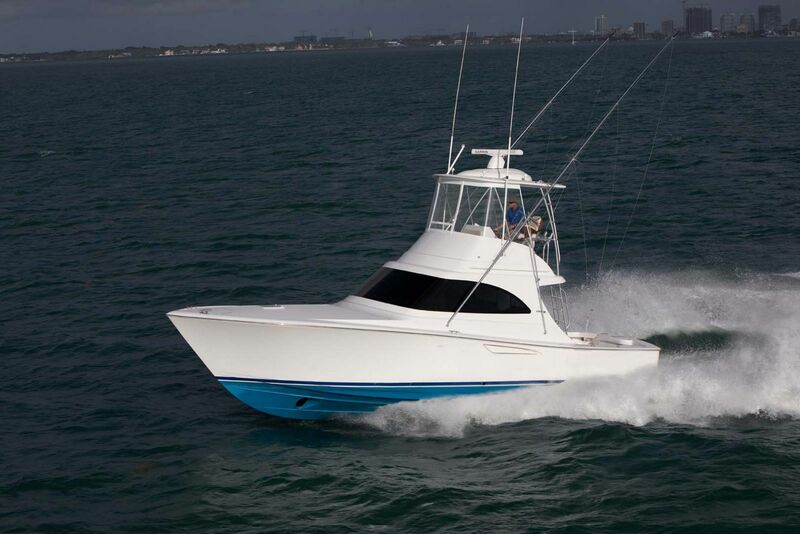 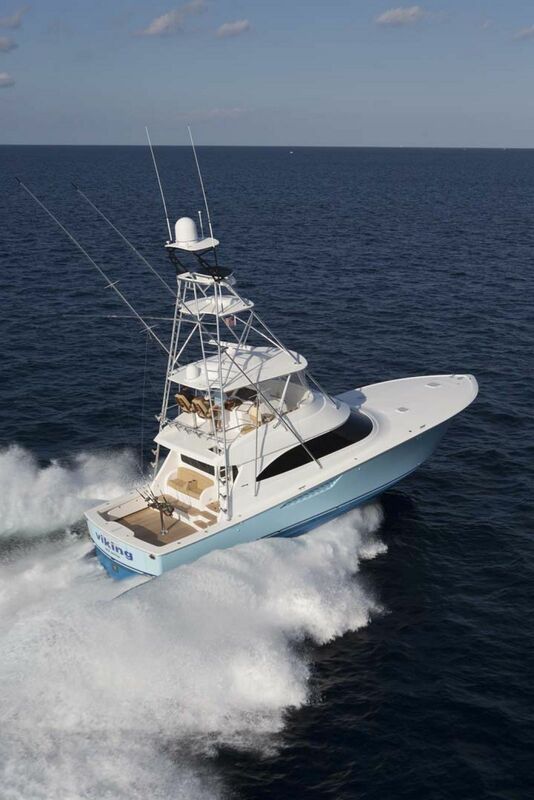 Hundreds of Viking 55’s have been built and sold to date, going back to its inception in 1996 at the Fort Lauderdale Boat Show, making it one of the most successful sportfishing boats ever built. 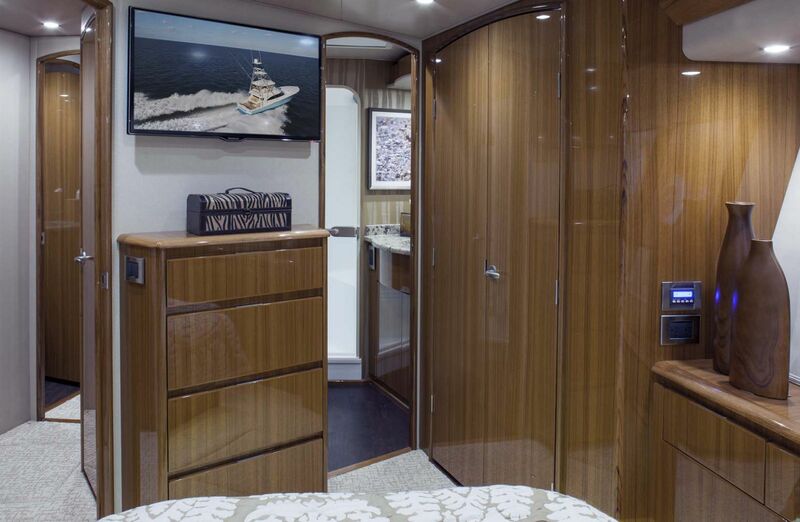 Every inch of the 55 Convertible has been well-planned with a furious attention to detail and quality control, which only Viking can achieve by manufacturing more than 90% inside the New Gretna factory. 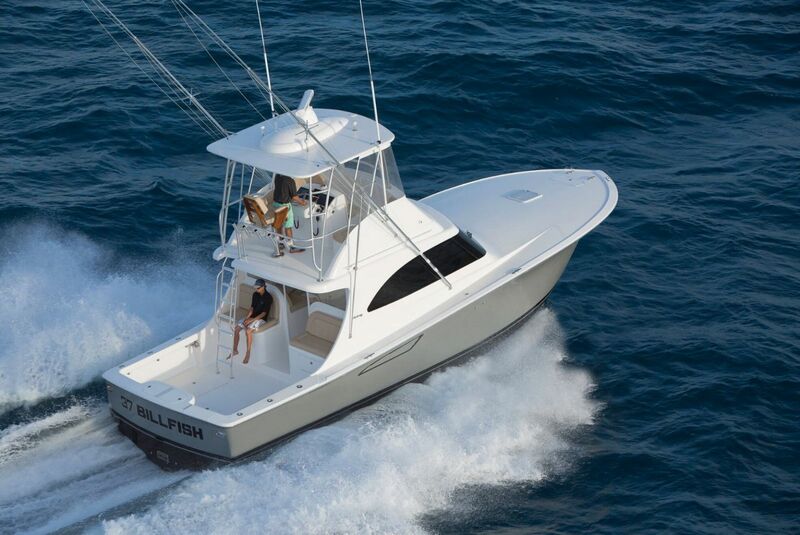 Want to get to the fishing grounds quickly? 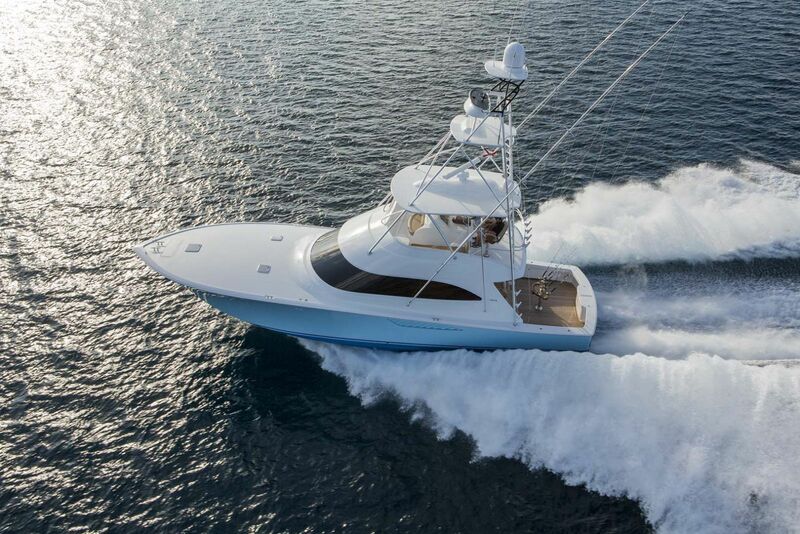 Don’t let the size of the 55 fool you, she can reach top speeds over 40 knots due to many factors including the res-infusion process with balsa core that makes the hull strong, yet helps with weight savings. 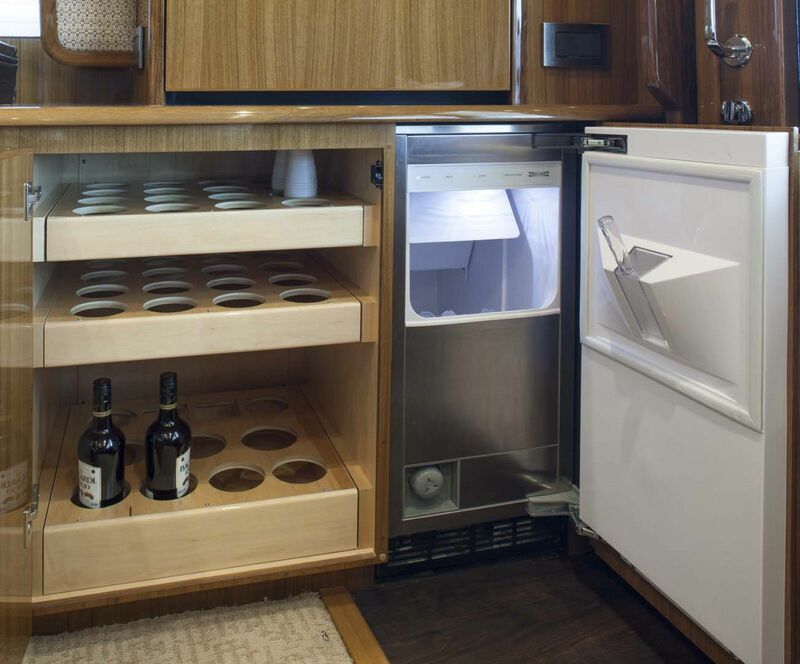 Even smaller components on board the 55 are resin-infused including fuel and water tanks, shower compartments, and even underneath the hardtop. 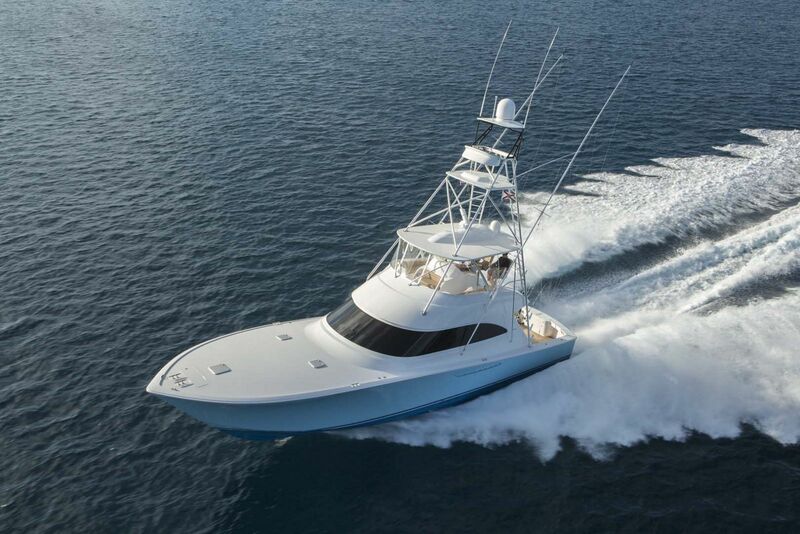 The powerful acceleration is apparent no matter what engine choice you make. 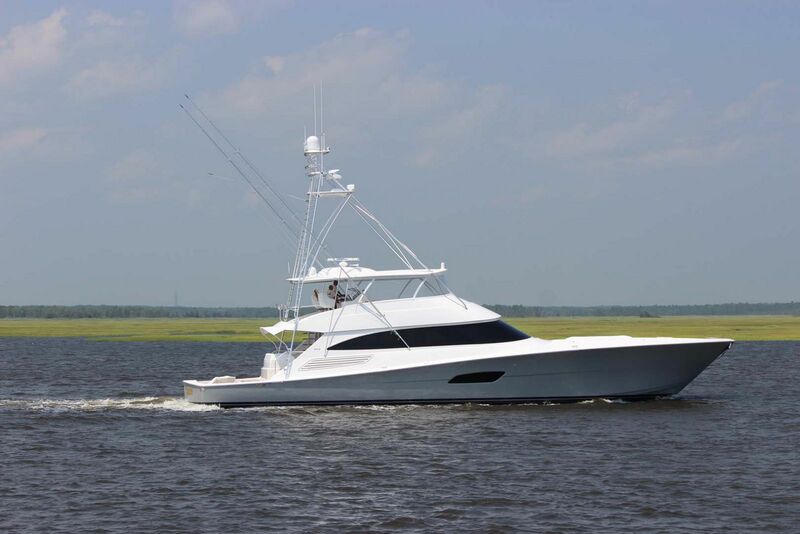 The base model includes the 55C is twin MAN V12 1400CRM diesel engines, but owners can choose to step up to either the MAN 1550CRM’s or 1800 CRM’s. 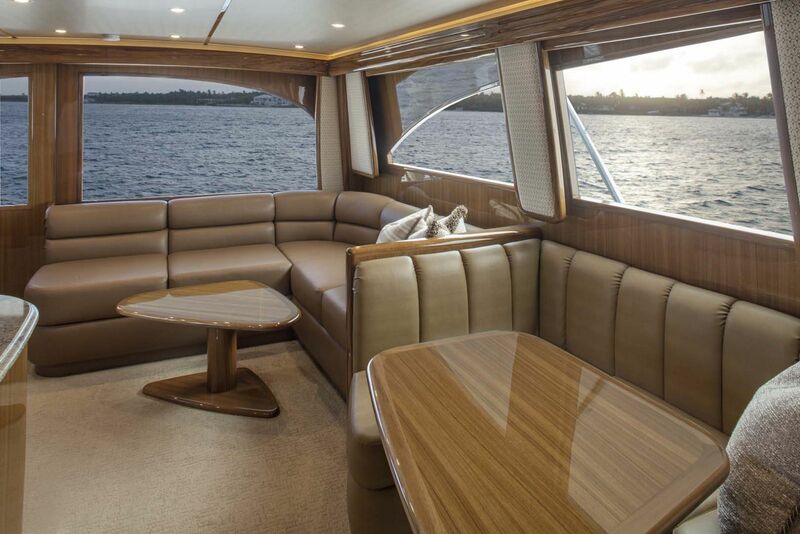 There are four different layout options on the Viking 55 Convertible, giving new owners a variety of choices to make to find the best one for their boating lifestyle. 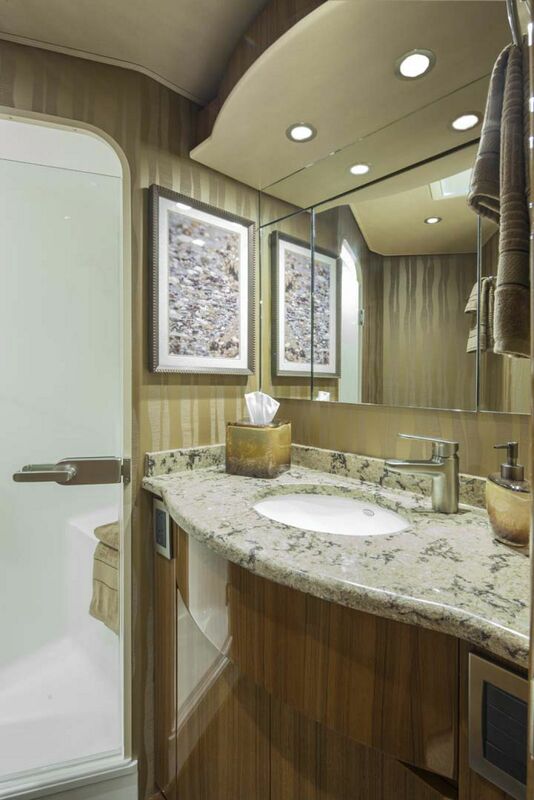 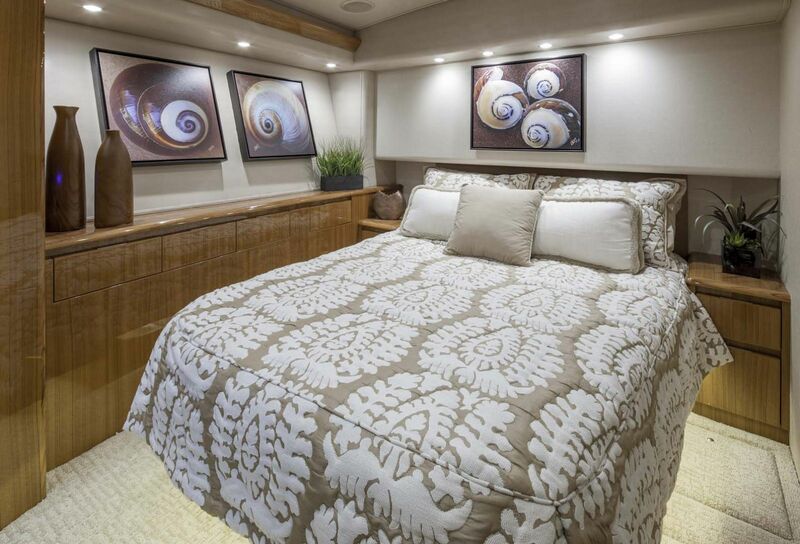 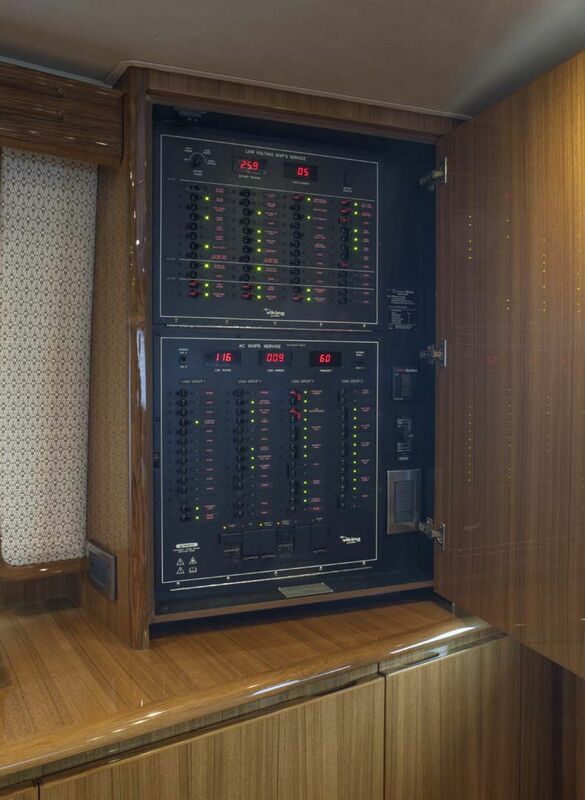 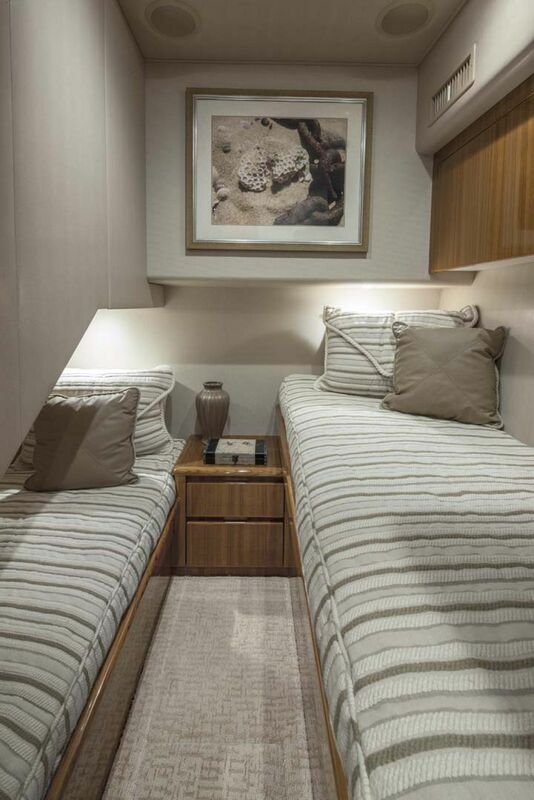 There is a 3-stateroom layout that offers the queen-sized master stateroom forward in the bow, but with 2 different variations including the option to have a peninsula in the galley. 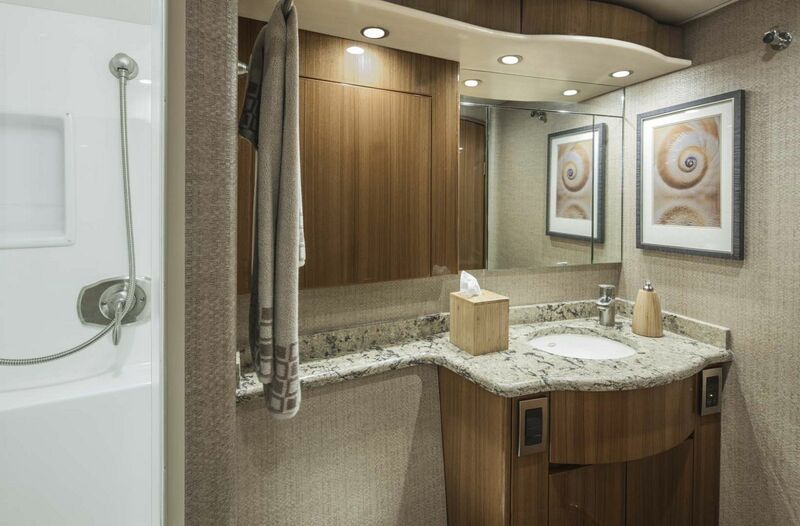 In both versions, the VIP stateroom also offers a queen-sized berth which also shares a head and shower stall with the additional stateroom. 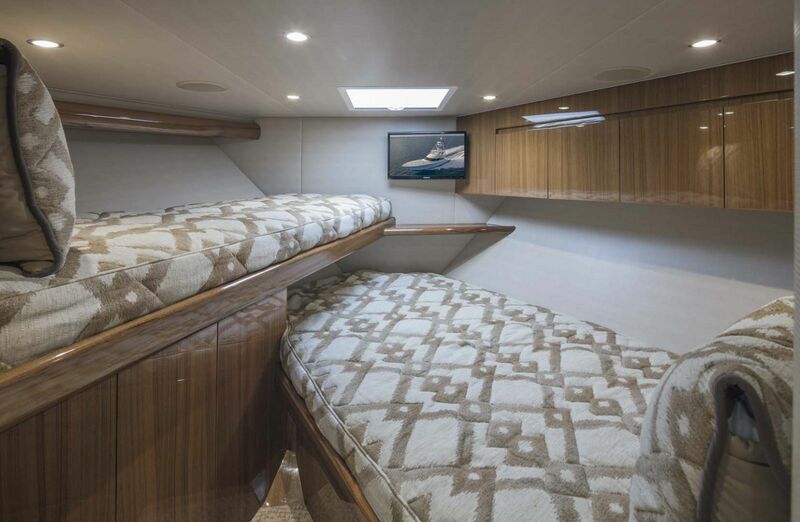 For the owner that needs a few extra beds, there are two additional 3-stateroom layout options which include one queen berth and two staterooms with cross-over bunks as well as the optional galley peninsula. 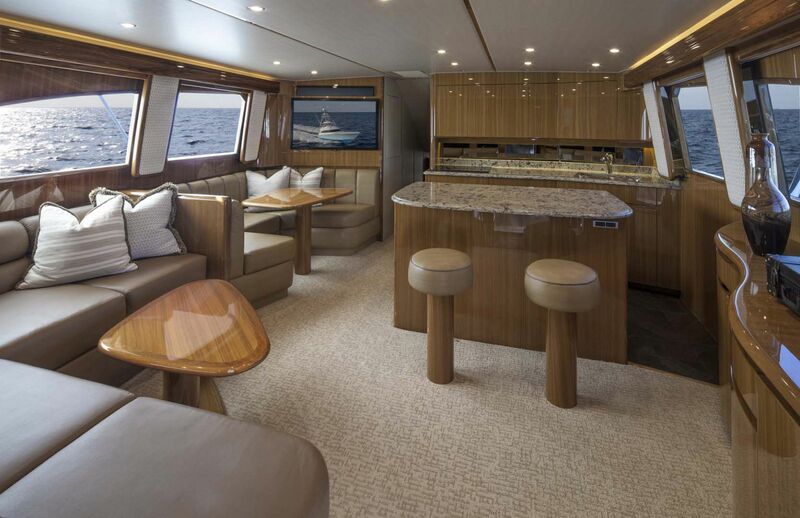 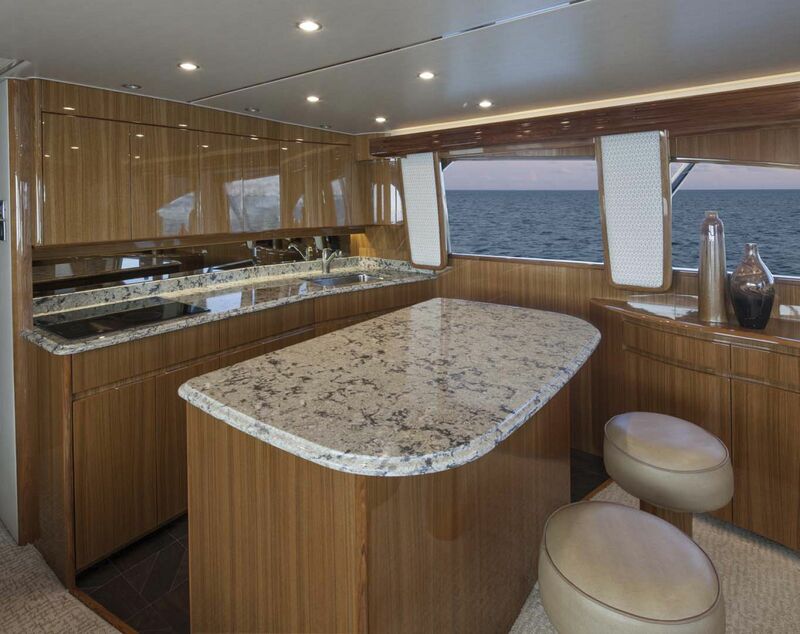 Contact your Staten Island Yacht Sales Professional today to help guide you to which layout is best for your needs when it comes to building your new Viking Yachts 55 Convertible.